1. Preheat the oven to 190C/375F/gas mark 5. Grease and line your baking sheets. 2. 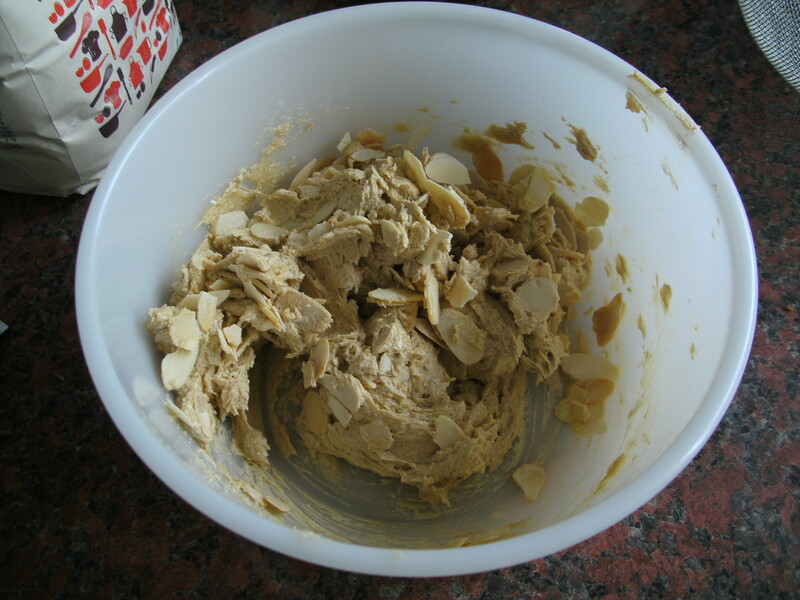 Toast the flaked almonds. You can chop them up into small pieces after this, or leave them as they are – I left them but it might create more flavour if you chop them up, so I’m going to try that next time. 3. Cream together the butter and muscovado sugar, then beat in the egg yolk. After this you can chuck in your roasted and ground almonds! 4. 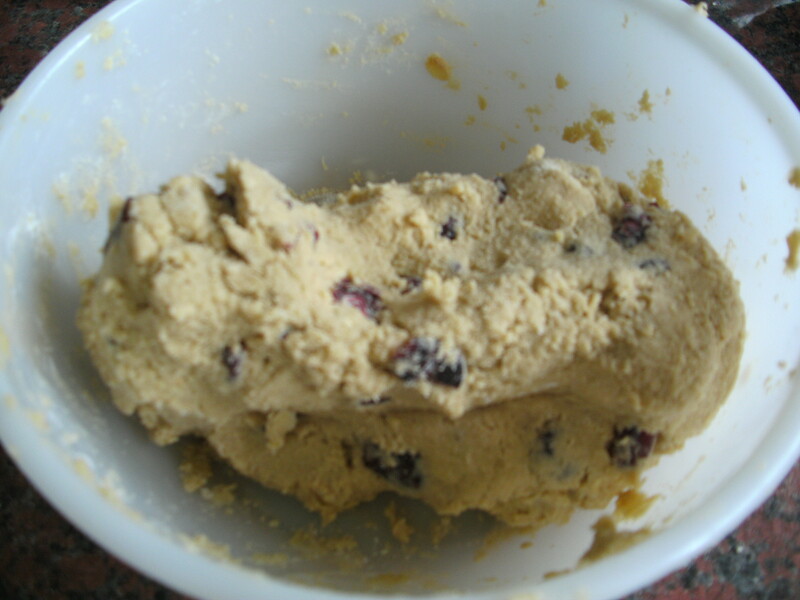 Add the cranberries and the flour to create a lovely thick, smooth dough that you should be able to shape with your hands. 5. Divide the mixture into walnut sized pieces – roll them into balls then roll them in the demerara sugar to give them a good coating. 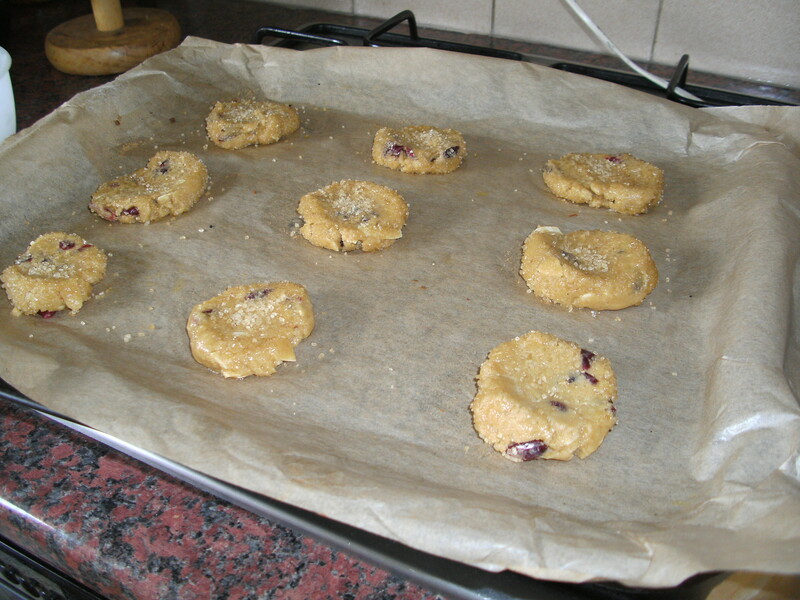 Pop them on the baking sheet and flatten them down a bit so they’re more biscuit-shaped. 6. Bake for about 10 minutes – just keep an eye out and take them out when they’re brown around the outside. 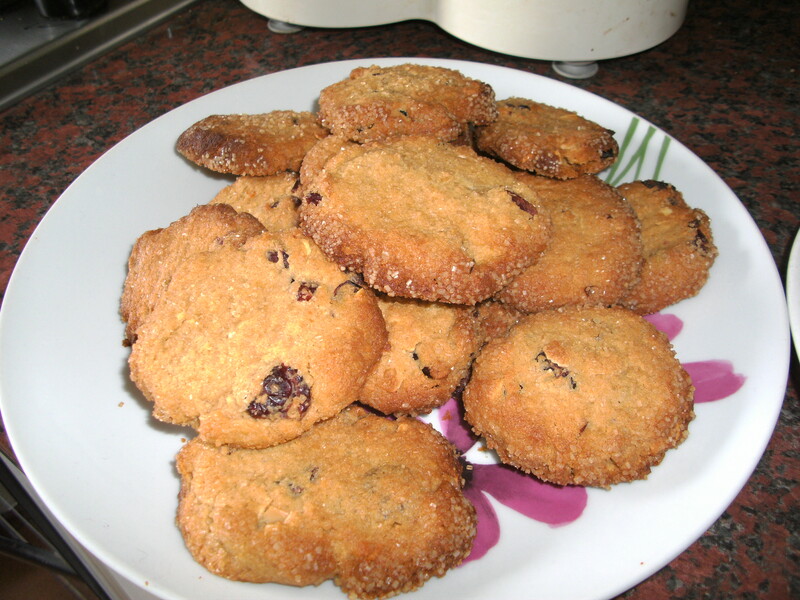 If you try baking them with the extra ground and flaked almonds in, let me know what it’s like! I’d love to hear what you think….